The Money Advice Service has produced a number of helpful video guides and vox pops that you can embed on your website. The easiest way to feature these videos for your users to watch is to embed the video using the YouTube or Vimeo player. To embed a Money Advice Service video on your site using YouTube, simply visit our YouTube channel, find the video that you wish to embed, then on the video page (beneath the video) you will see an option to share. When you click Share, you will see an option to embed. 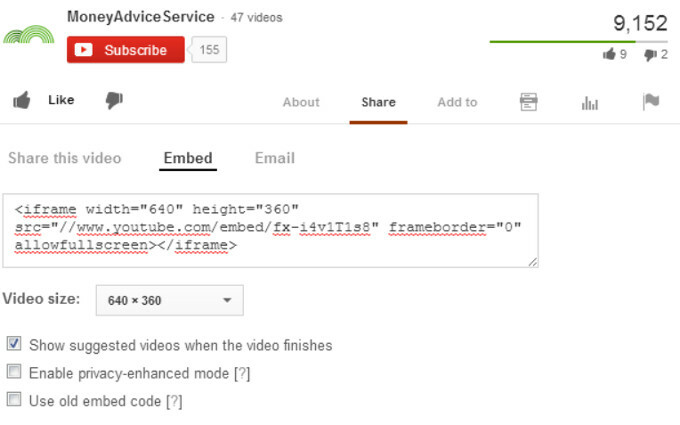 Below the embed code, you can select the size of the video as it will appear on your page. Then copy the embed code and paste it into your webpage. 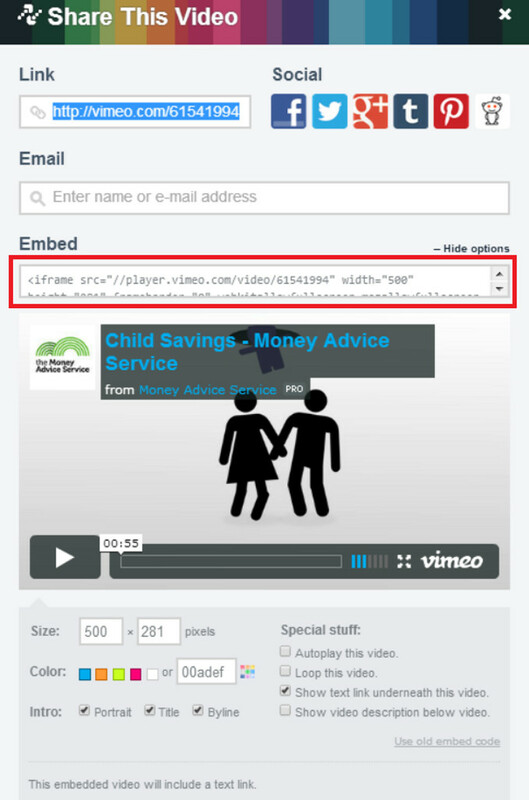 To embed a Money Advice Service video on your site using the Vimeo player, visit our Vimeo channel and find the video that you want to embed. In the top right-hand corner of the video, you will find a share button. When you click the share button, you will see options to copy a link, share using social media, email or embed. Click ‘Show options’ to display options for customising the size and colour of the player. When you are ready, select and copy the embed code, then simply paste it into your webpage. If you have any other requirements or problems, please get in touch with our Partnerships team.